No matter what medium an artist works with, there are many choices to make and things to consider when beginning a new piece — what kind of surface to utilize, what type of tool might work best, and how a medium will ultimately look, to name just a few possibilities. The Fine Artist's Guide to Tools & Materials is a handy reference guide that explains how to use a vast array of fine art tools and materials. It includes a brief description of each item, an explanation of its purpose, and any safety tips to bear in mind when using it. Divided into four sections, this comprehensive resource is color-coded so artists can locate information quickly and easily. 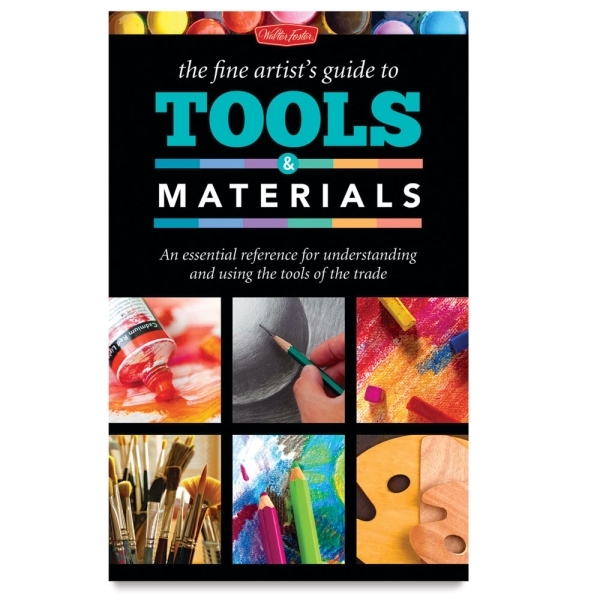 Plenty of visual examples, comparisons, and color photos are included to help readers determine which paints, surfaces, implements, and other materials best fit their style and vision for their art. Spiralbound. 176 pages. 6¾" × 9¾" (18 cm × 25 cm).